Q I have been breeding Singapura kittens on a very small, informal scale for several years and will soon be ramping up the scale with three fertile females and the launch of a small online cattery. 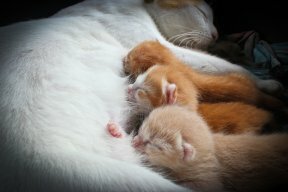 The lady from whom I purchased my first Singapura weans her kittens (takes them away from mother) at four weeks and five days of age. I am not entirely sure why she is doing this, but she said it had something to do with preventing disease and/or infection from the mother. To me, the kittens seem too small and vulnerable at this age. My question is: Is this a bit too early, and if so, when would be a more optimal time to wean kittens? A Dear Michael: I am unaware that early weaning offers any health benefit to kittens — and it actually may be harmful. 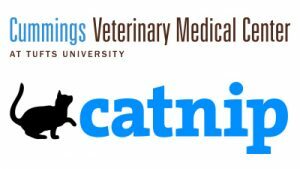 Weaning (the transition from mother’s milk to solid food) can be a stressful event in the kitten’s life, and if improperly performed, may contribute to kitten illness and mortality (coupled with possible behavioral issues, too). Weaning begins at three to four weeks of age when kittens are offered cat food moistened with water or kitten milk replacer. Kittens first learn to eat by accident, as they step into food and ingest it during grooming. At three to four weeks of age, kittens begin to eat solid foods, although 95 percent of their caloric intake is provided by the queen’s milk. A progressive intake of solid food continues until the kittens are completely independent of the queen. Most kittens are weaned by six to nine weeks of age. Later weaning allows more time for kitten growth and immune system development, which may reduce kitten mortality. Abrupt removal from the mother cat can have a negative effect on the kittens’ health and socialization skills — they learn to eat, use a litter box and play, among other things — by observing their mother. Ideally, kittens should remain with their mother during weaning and the process handled entirely by the queen.